His resignation came a week after Ms. Wilson-Raybould resigned from the Trudeau cabinet. In January, she had been moved from the post of justice minister to minister of veteran’s affairs, a switch widely seen as a demotion. Rather than calming the growing political storm around Mr. Trudeau, Mr. Butts’s resignation only seemed to intensify it. Mr. Butts’s absence will leave a significant void in Mr. Trudeau’s leadership and campaign team just eight months before an election. The son of a coal miner from Cape Breton, Nova Scotia, Mr. Butts met Mr. Trudeau at the debating club at McGill University in Montreal and the two have remained friends ever since. After working as a senior aide in a Liberal provincial government in Ontario, Mr. Butts was among a small group who brought Mr. Trudeau, a teacher, into politics and taught him its craft. Mr. Butts was a key player in the successful election campaign in 2015 that defied expectations by raising the Liberals from third place in polls to victory, making Mr. Trudeau prime minister. Since then, Mr. Butts has acted as Mr. Trudeau’s principal secretary and was widely viewed as the most powerful player within the prime minister’s office. He was known for aggressively challenging critics of the government on Twitter. Mr. Gossage said the loss of Mr. Butts’s guidance is a significant blow for Mr. Trudeau and the Liberal Party. “The last year before an election, you don’t leave your boss behind,” Mr. Gossage said. The allegations of government interference in the criminal case first surfaced in a Globe and Mail article that cited anonymous sources. According to the newspaper, the prime minister and his staff pushed Ms. Wilson-Raybould to cut a deal for the company, SNC-Lavalin. A Montreal-based engineering and construction firm, SNC-Lavalin was accused of paying multimillion bribes to secure contracts in Libya when that country was ruled by the dictator Col. Muammar el-Qaddafi. A criminal conviction would bar the company, which has about 52,000 employees worldwide, from working for the government of Canada for 10 years. It was feared that could harm SNC-Lavalin financially or leave it vulnerable to a foreign takeover. 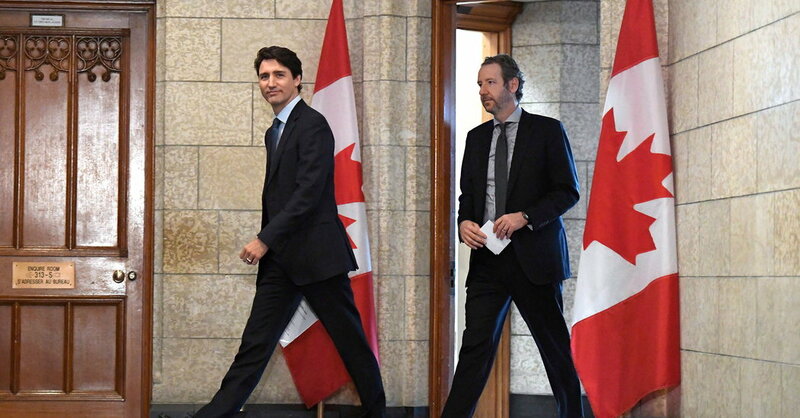 Mr. Trudeau’s office confirmed last week that Ms. Wilson-Raybould brought the case up in a conversation with Mr. Butts, but declined to offer any details about what was said. In the end federal prosecutors, who in Canada’s system are supposed to be independent of politicians, decided to continue to prosecute the company rather than seek a settlement under a new law introduced by Mr. Trudeau’s government last March. That measure allows companies to pay a substantial fine and show that they have resolved their ethics issues to avoid a criminal conviction. Two successive premiers in Quebec have called for such a deal to be struck. Last week, the episode went from involving only anonymous allegations to a major political challenge when the federal ethics commissioner, Mario Dion, said he would investigate the prime minister’s actions. Since her resignation, Ms. Wilson-Raybould has neither said anything about the affair nor offered an explanation for why she left the government. Pointing to her demotion, then sudden departure, opposition politicians have charged, without offering any proof, that she was being punished for not yielding on the SNC-Lavalin case. In his resignation letter, Mr. Butts noted that he had encouraged Ms. Wilson-Raybould, a former prosecutor and Indigenous leader from British Columbia, to enter politics. “From my perspective our relationship has always been defined by mutual respect, candor and an honest desire to work together,” he wrote.